Children deserve rooms where their development will be undistorted. They should feel happy and full of energy in their rooms. 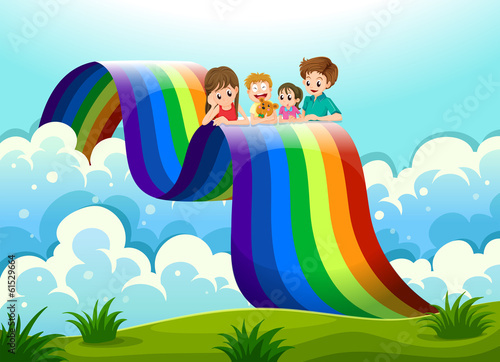 The photo wallpaper with a rainbow slide is a perfect addition to a spacious child’s room. Express your love in one of the most colourful ways. Let your child be the happiest child of the world.